Sweet girl has a first birthday coming up! Can you believe it? I don’t even know how that happened. We have 1 year pictures coming up and I wanted a cute first birthday crown for her photoshoot. I couldn’t find what I wanted so I decided to DIY one! 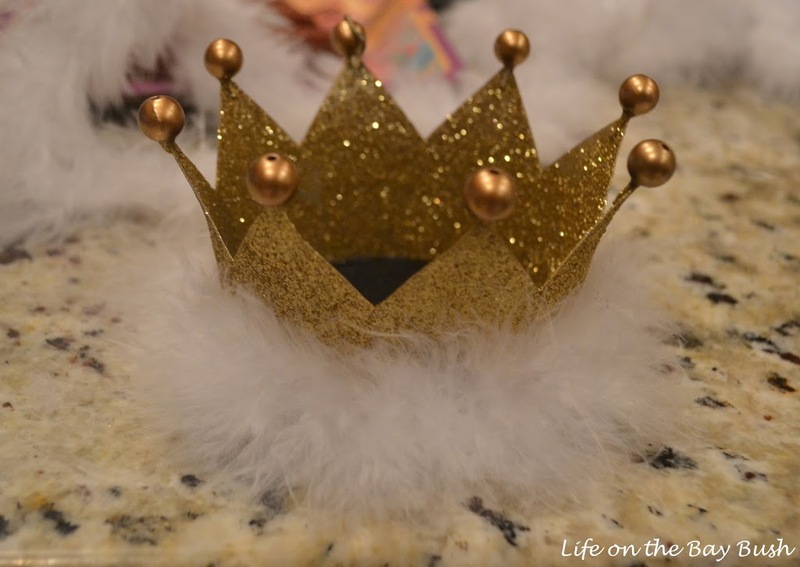 The crown – I found this one on clearance after Christmas at Target. It was an ornament that I bought on a whim but knew I could use it for something with three little princesses running around. Here is a link to a similar (and cuter!) one I found on Amazon! Based on the measurements, I think it is a little smaller than the one I used. I used a pair of pliers to bend the hanger part of the ornament down. 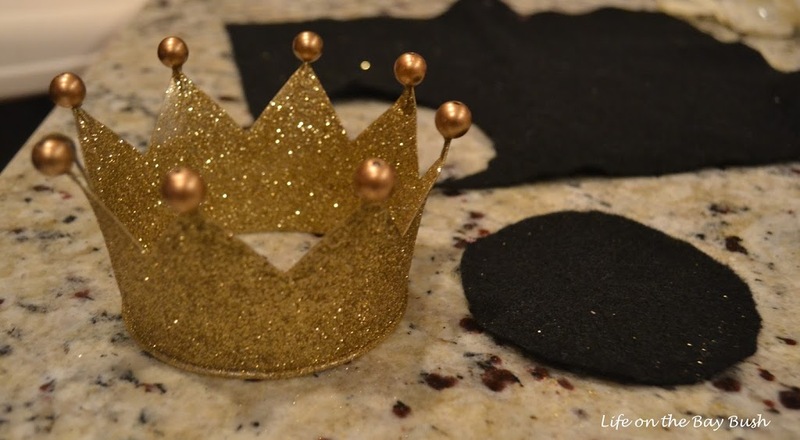 Then I cut a piece of felt slightly larger than the base of the crown for it to sit on. 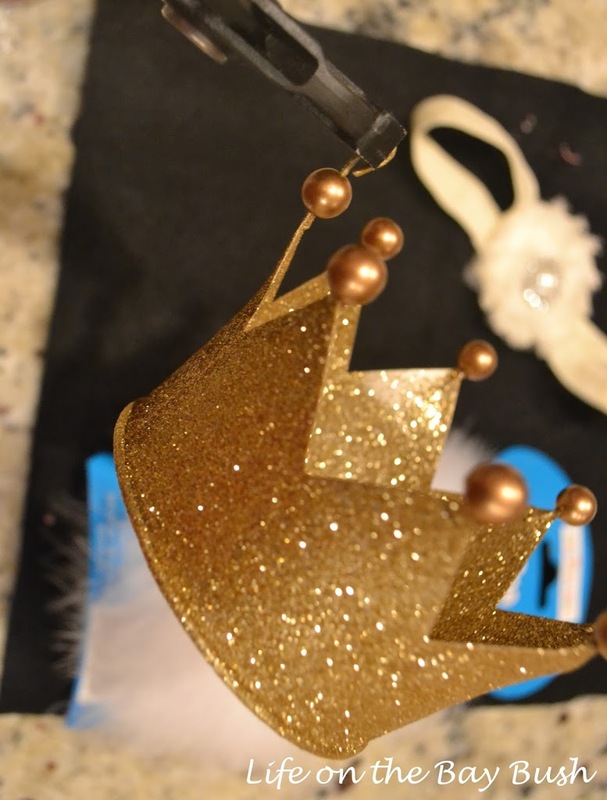 I thought the bottom of the crown itself might be too hard for my little princess (plus is was an additional place to glue the feathers). 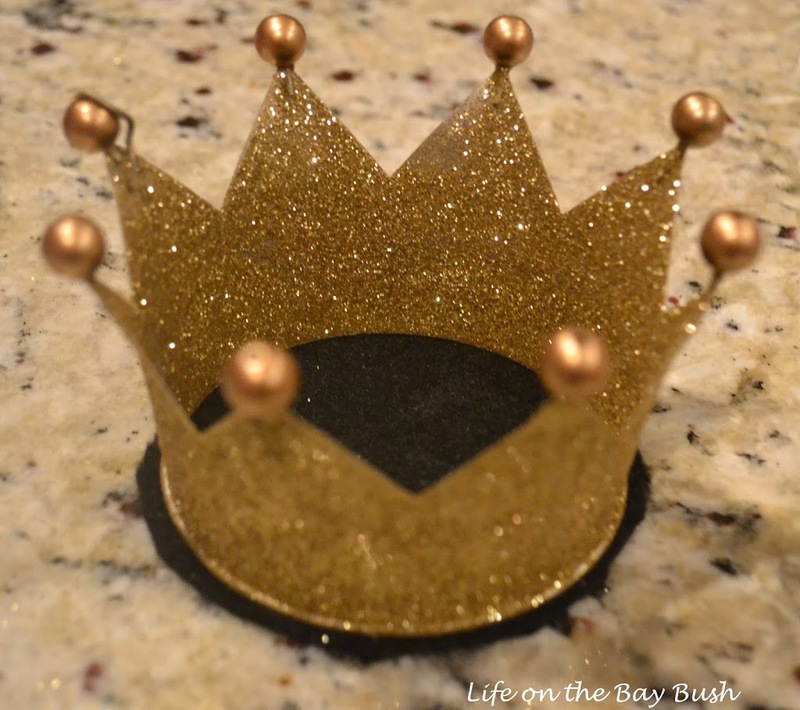 I hot-glued the crown to the felt. 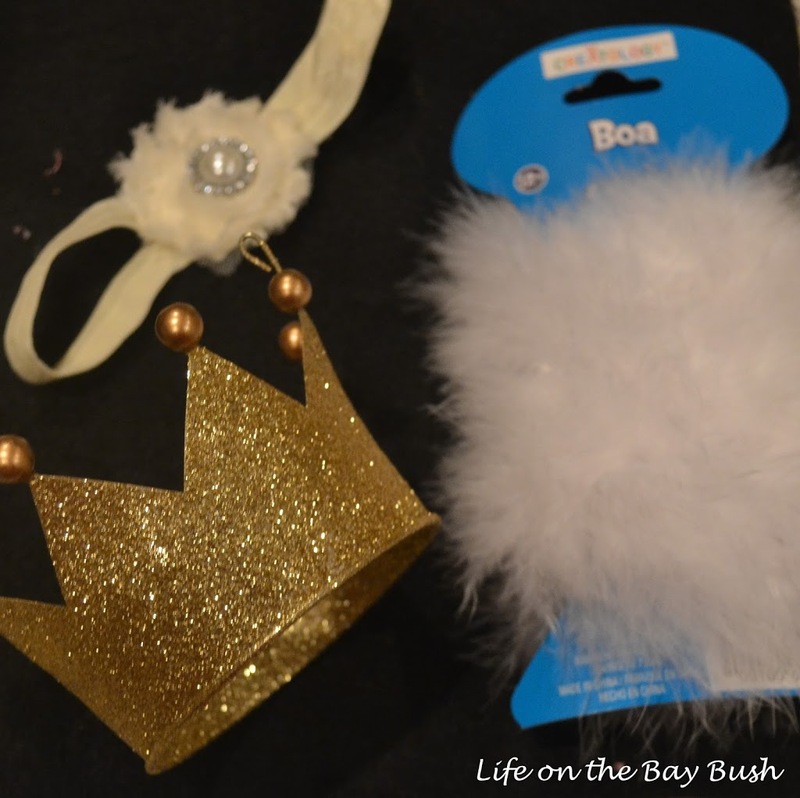 Then I glued the feathers to the felt base of the crown by slowly wrapping it around as I glued. 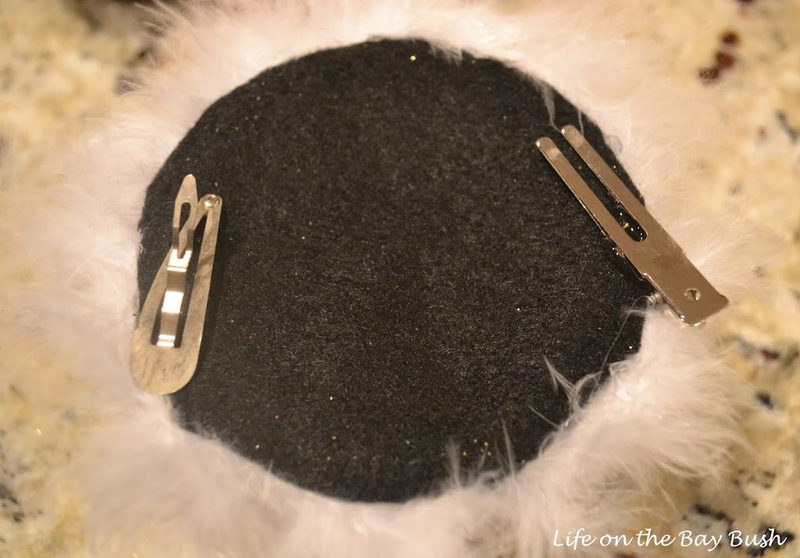 Finally, I took two clips and hot-glued them to the bottom of the felt so that I could attach it to the headband without messing the original headband up. 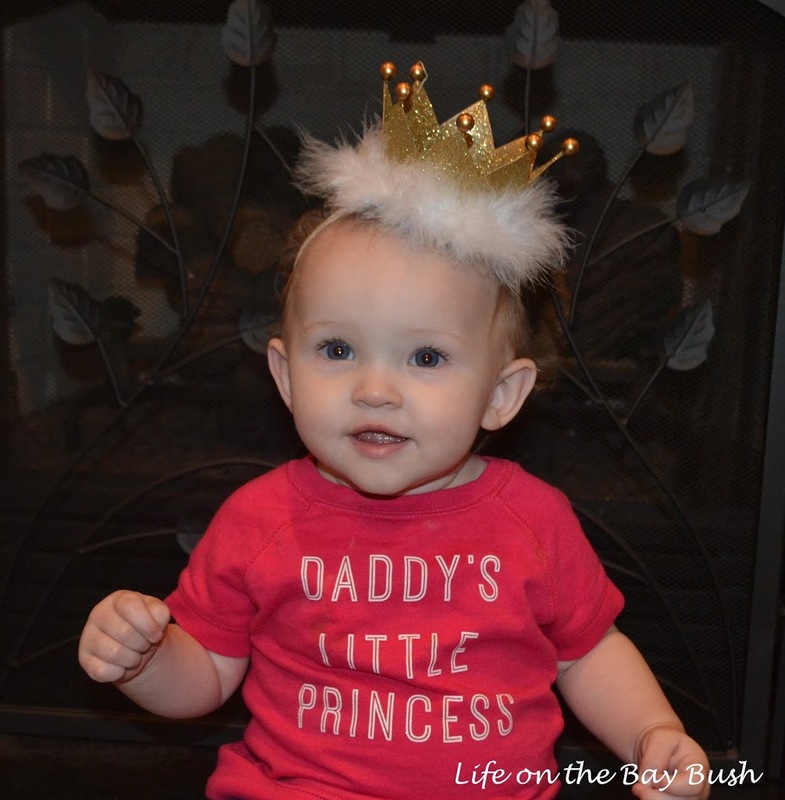 Lastly, I attached the headband to the crown and tried it on my little princess! 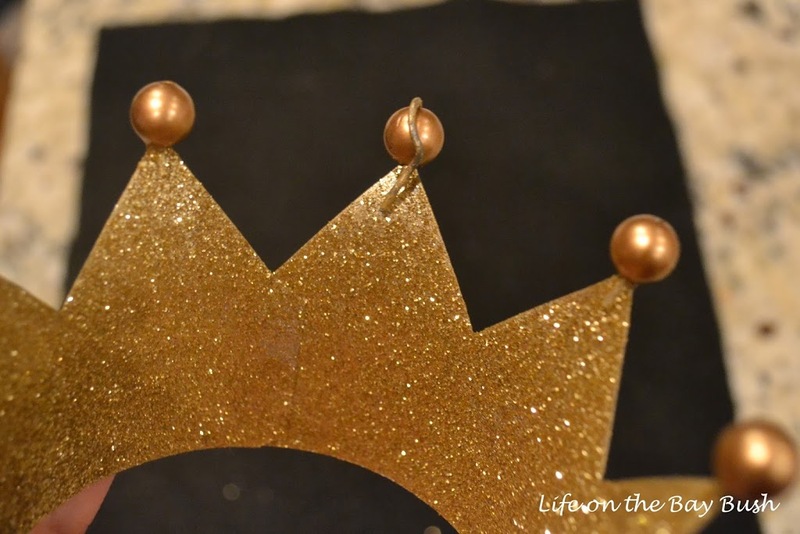 Mine ended up a little top heavy due to the weight of the crown. But it didn’t seem to bother her! How cute is she? She definitely has our hearts. I die. Seriously!?! I die. She is so sweet and beautiful and full of wonder. I don’t know how we did life before she came into our family! p.s. I’m linking up to Home Stories A to Z, Tatertots and Jello, Sugar Bee Crafts, My Uncommon Slice of Suburbia, and DIY Showoff!